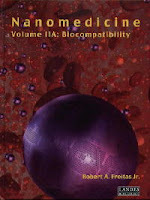 Nano medicine was one of the topics presented at ASN 2011. What is that? Dr.Chan described it very well for us at the ASN meet. It is the science of application of nano techology principles in biology principals. If one thinks of a single atom, that is called the atomic state. If we have 26 atoms, that is the bulk state. Anywhere in-between 6-19 atoms, is the tunability state. Hence in this part of the molecule's structure of growth, it can be used to tube physical and biological properties. That is the nano state of the particle(sub micron size). The intersection of particles and directed energy is a rich source of novel and useful technology that is only recently being realized for medicine. One of the most promising applications is directed drug delivery. These particles have tremendous potential for actively disrupting their environment for altering transport properties and unloading drugs. Example. Make a particle that is 60 nm and get to the target site of the tumor. Then can be used for imaging purposes or delivering chemotherapy. It is in clinical phase trials for invivo cancer, diagnostics as well, and in research phase in cardiovascular diseases, diabetes and pathology. The limitations are: delivery is poor- 5percent and the particle can stay in body for MONTHS. Nevertheless, nanotechnology has brought a variety of new possibilities into biological discovery and clinical practice. Technically, nano carries can do drug delivery, allowing for therapeutic agents to be selectively targeted on an organ, tissue and cell specific level, also minimizing exposure of healthy tissue to drugs. But not sure if this is clinically able to happen. The leading advantage of nanocarriers, i.e. their ability to cross the blood-brain barrier (BBB). Finally, direct in vivo imaging of nanomaterials is possible leading to provide real-time tracking of those nanocarriers. 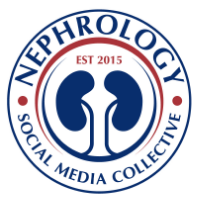 But this can open up a whole area of research in Renal diseases in terms of podocyte biology and perhaps even renal imaging of certain smaller structures.